Zoho Sites Recenze 2019 - Proč 4.4 hvězdiček? If you are new to website building or are on a tight budget, you cannot go wrong with Zoho - it lets you build an online presence you can be proud of. Zoho Sites Offers Little in the Way of eCommerce, but There Are Many Impressive Features That Will Be Invaluable to Your Business. Zoho Sites is one of the many services offered by the California-based SaaS provider, Zoho Corporation. 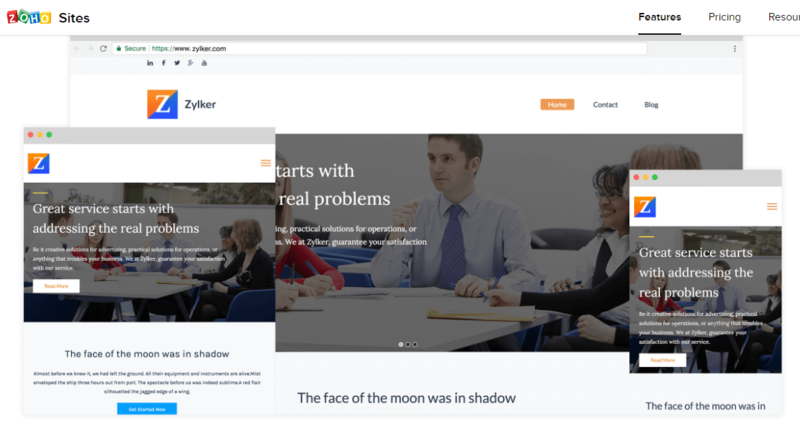 This builder features a no-frills drag and drop editor that lets you set up a website with just a few clicks. One thing that really stands out for Zoho Sites is its solid and professional user interface that makes website personalization easy and allows you to build a website with all the right features your brand needs to thrive. There is no shortage of good-looking responsive themes to choose from, each of which can be easily customized to your preference. On the downside, Zoho Sites doesn’t do too well with its eCommerce feature, which lacks many important elements, including a checkout system, email receipt customization, and product categorization, just to mention a few. On a positive note, there are plenty of impressive features to discover on this site, including a password-protected membership portal, extensive integration with Google apps, social media integration, HTML/CSS access, and unlimited bandwidth and file storage. HTML/CSS Access Allows Greater Control over the Look of Your Website. Good selection of themes: If you are looking for variety, Zoho Sites offers plenty of themes to get you up and running. While a few of the themes you’ll find are a bit outdated, many are fresh and sleek and will make your website shine. Whether you are in hospitality or photography, construction or business, you will find a suitable theme for your brand. A big plus is the ability to swap themes anytime without losing your content. Responsive: Mobile responsiveness is the hallmark of a modern site builder and Zoho Sites is no exception. Each theme you use to build your website is responsive and will look great on desktop, tablet, and smartphone. Customizable: Zoho Sites offers impressive customization options that I have yet to see in other site builders. There is a nifty tool called Page Versions that lets you create and personalize your content. You can make basic customizations such as changing the fonts, background pictures, colors, and text. Other cool things you can do to make your website your own is to add a logo and a favicon. Designers and developers will revel in the fact that they can go deeper with the customizations by editing the templates’ HTML and CSS or completely build a template from scratch. A Treasure Trove of Cool Features That Will Make Your Website Shine. Form builder: Zoho Sites has one of the most solid form builders I have seen so far. While you can create your own from scratch, there are pre-designed forms from which to choose, and you can use numerous customization options to personalize your forms. If you can leverage the form builder and the customization opportunities, you should be able to come up with a robust form that will help nurture and convert site visitors into paying customers. Blog: The blogging function is another of Zoho’s notable areas. Building the blog itself is incredibly easy—just drag and drop your desired elements and your blog is all set. There is a lot you can do with the intuitive blogging tool, including integrating comments, adding social media buttons, scheduling posts, and importing content from other platforms such as Blogger or WordPress. Membership portal: I have not seen a password-protected membership portal on many site builders, but it works especially as a way to monetize your content. You can make certain pages inaccessible to certain site visitors—pages would only be available to paid members. Other features worth mentioning include social media integration, SEO, and eCommerce. Unfortunately, the eCommerce feature, only available to Premium customers, is rather bare-boned and doesn’t seem to stack up well against other modern website builders such Space square or Duda. Drag and Drop Editor Makes for a Smooth Building Experience. Admittedly, there are other website builders that are easier to use than Zoho Sites. 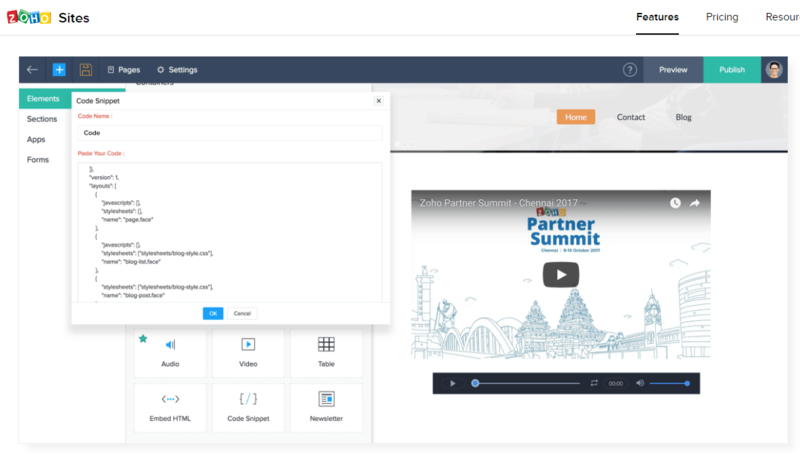 Even then, like most modern builders, Zoho Sites comes with a drag and drop editor that lets you set up a website with as few hassles as possible. Signing up is a breeze, after which you are led directly into choosing a theme and then to the editor where you can begin customizing your theme to your preference. To get your website online, simply click Publish, insert a custom domain, and Zoho Sites will take care of the backend issues such as SSL and hosting. Control the Look and Feel of Your Website. One area where this site builder excels at is the customization options that make it easy for you to build a website that meets your brand’s objectives. Personalization options are clearly organized into the Elements, Forms, Apps, and Commerce Tabs that are easily accessible at the top of the editor. Most elements can be customized and advanced users have easy access to the site’s HTML and CSS snippets for greater control over the look of their website. Customer Support That You Can Always Depend On. Zoho Sites had done a really good job with its customer service, which is a commendable thing at a time when many companies have completely slacked off where reliable customer support is concerned. The support team can be reached via email 24 hours a day, five days a week. You can also place a phone call if you need immediate help. 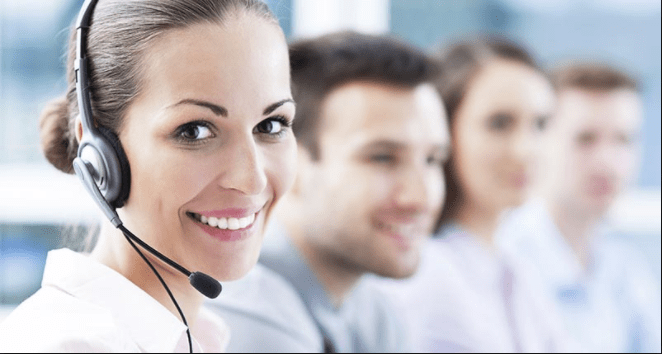 Remarkably, there is a specific email address that allows you to escalate an issue if your concern is not adequately addressed via the email support ticket system. Other resources available to Zoho Sites users include an FAQs section, a user-guide and video tutorials, a blog, and an active community. Affordably Priced Plans for Users on a Shoe-String Budget. Zoho Sites offers a free account and three paid plans. The free account offers the bare minimum, including 500MB storage, 3GB bandwidth per month, 2 forms, 10MB maximum file size, support for a favicon, blog, automatic sitemap, a mobile-optimized website, and code customization for the header and footer. The Essential plan is the entry-level paid account, which comes with everything the free account has, plus a five-photo gallery, a custom domain, a single site page, social integration, SSL hosting, sales IQ integration, animation, 301 redirect, and CRM forms by Zoho. The Professional plan is ideal if you are looking for a larger, more robust website. This account offers all the features on the Essential package, plus a 15-photo gallery, support for five contributors, a blog comment box, blog post scheduling, social integration with automatic publishing, and newsletter subscription. Signing up for the Advanced package offers access to everything on the Professional plan, plus a 200-photo gallery, 50 contributors, and more importantly, the ability to set up a password-protected membership portal for your customers and members of your organization. If you are new to website building or are on a tight budget, you cannot go wrong with Zoho. 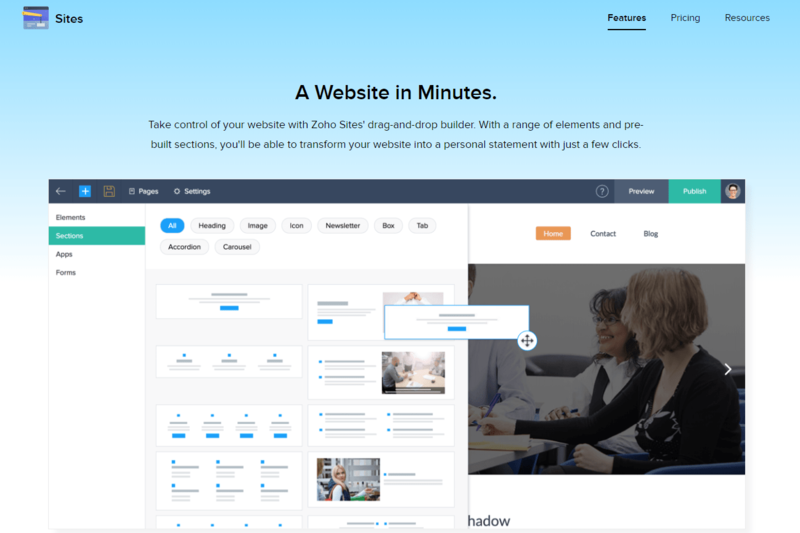 Don’t expect much in the way of eCommerce with this builder, but with numerous beautiful themes to choose from, solid features to work with, and plenty of customization options, Zoho Sites lets you build an online presence you can be proud of. The reliable customer support only adds to the list of things that make this builder a good bet. Přemýšlíte, jak si Zoho Sites vede v porovnání s dalšími nástroji? Zadejte jakýkoliv jiný nástroj pro tvorbu webů a my vám je mezi sebou porovnáme.